Striae, commonly called Stretch Marks, are lines or streaks on the skin, which can be pink, purple or white in color (depending on their age), which appear when the inner skin layer is stretched thin and loses its elasticity. The most commonly affected areas are the breasts, thighs, stomach, hips and back. Stretch marks come about as a direct result of the skin getting stretched due to rapid growth , such as during puberty , or weight gain as seen during pregnancy. Although the skin has a fair degree of elasticity, such stretching is bound to leave prominent marks. A lot of pregnant women, in particular, experience stretch marks in different areas especially in the latter half of their terms. Normally, these marks fade over time, and there are a number of treatments that can help in this case. 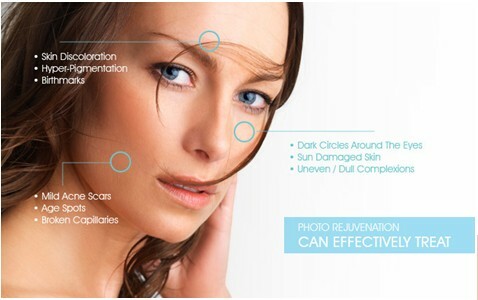 All treatments are noninvasive, without any risks or side effects. Most types of treatment require multiple session which are completed in an average of 30 minutes. Derma roller: Medical Skin Needling or derma roller therapy is also called Collagen Induction Therapy or Micro-Needling. Microdermabrasion: This type of treatment makes use of a hand-held device that blows crystals onto skin, abrading or “polishing” the skin’s surface in the process. Pulsed dye laser therapy: Used at non-ablative wavelengths of light, this type of laser therapy remodels underlying skin (dermis) by promoting the growth of collagen and elastin. Fractional laser: Similar to pulsed dye laser therapy, this laser treatment also uses wavelengths of light to stimulate new growth of collagen and elastin.